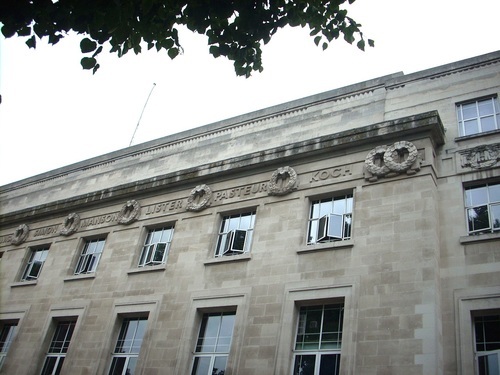 "The School was founded in 1899 by Sir Patrick Manson as the London School of Tropical Medicine and located in the London Docks. 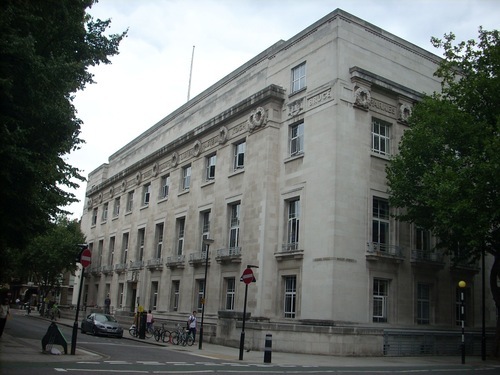 In 1920 the School moved, with the Hospital for Tropical Diseases, to Ensleigh Gardens in central London, taking over a former hotel which had been used as a hospital for officers during the First World War"1. 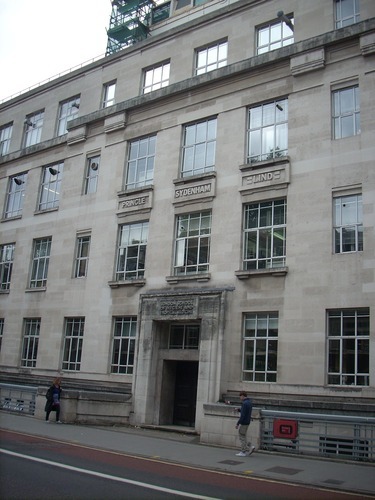 It "became a key teaching and research institute of the new speciality. 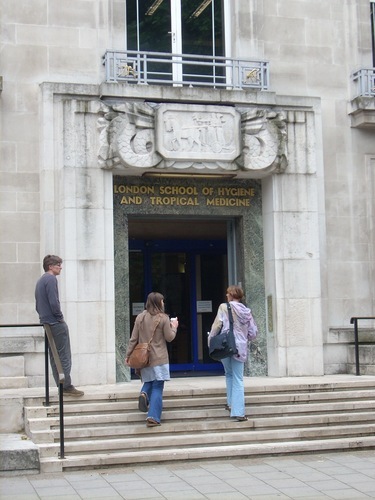 After the Rockefeller endowment (1923) it became the London School of Hygiene and Tropical Medicine"2. 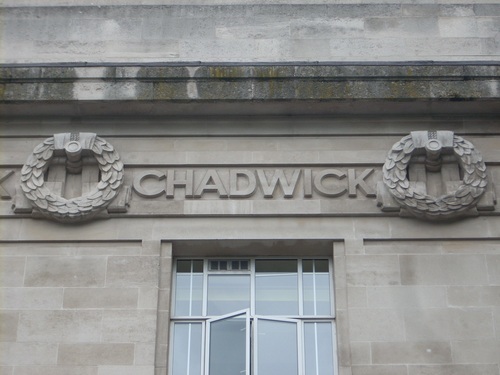 A competition to design the new School building was held involving five architects, all experienced in laboratory design and construction. 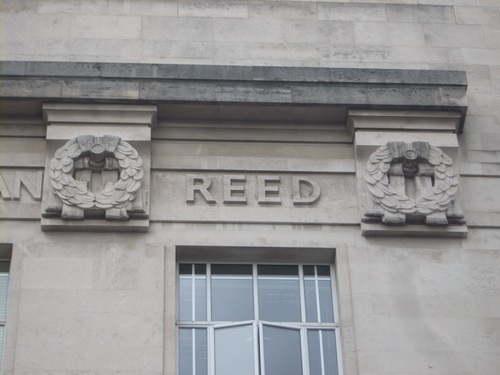 This was won by Morley Horder and Verner Rees who designed the new building in the Art Deco style3. 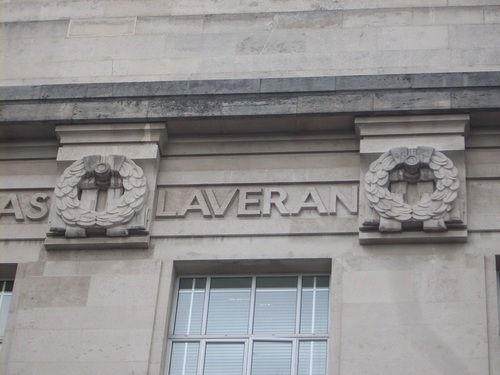 "The foundation stone was laid by the Minister of Health, Nevil Chamberlain, in July 1926 and the building was opened three years later by the Prince of Wales"4. 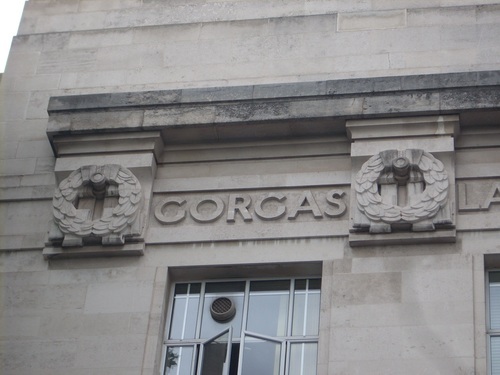 "Twenty-three names form the frieze on the exterior of the School"5, chosen among the people who gave important contributions to the advancement of hygiene and tropical medicine. 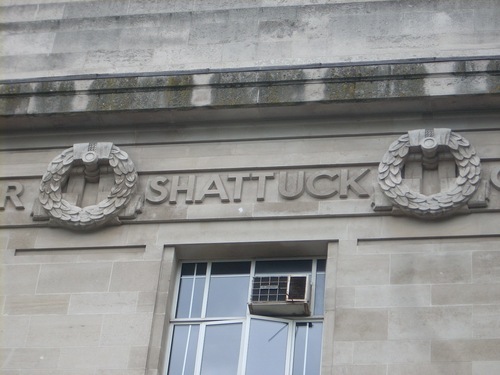 They are (in chronological order): Thomas Sydenham, John Pringle, James Lind, Johann Peter Frank, Edward Jenner, Lemuel Shattuck, Edwin Chadwick, William Farr, John Simon, Max von Pettenkofer, Edmund Alexander Parkes, Louis Pasteur, Joseph Lister, Timothy Richards Lewis, Robert Koch, Patrick Manson, Alphonse Laveran, Walter Reed, William Gorgas, David Bruce, Ronald Ross, Hermann Biggs and William Leishman. - M.Gibson, Behind the frieze. 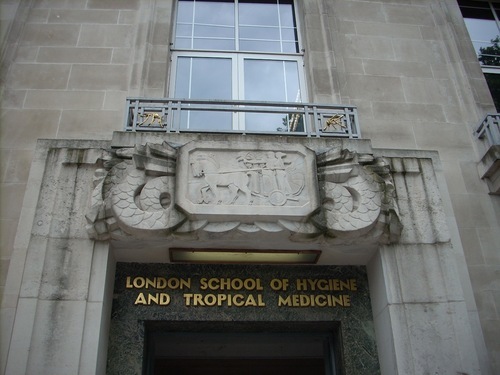 Thumb-nail sketches of those pioneers of public health and tropical medicine whose names form the frieze of the London School of Hygiene and Tropical Medicine, London School of Hygiene and Tropical Medicine, London 1995, pp. 27. 1. 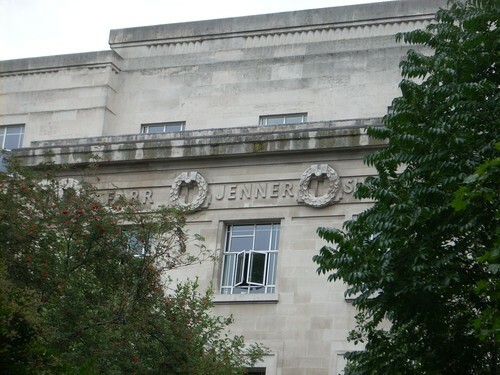 From the official leaflet "The History of Keppel Street Building", by the LSHTM 2010. 2. W.F.Bynum and Helen Bynum, Dictionary of medical biography, Greenwood Press, Westport (CT) 2007, vol. 4, p. 846. 3. 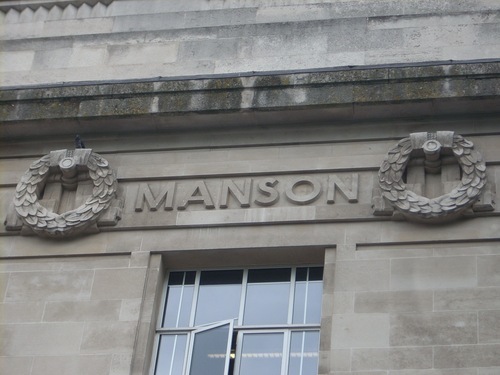 See M.Gibson, Behind the frieze, p. 1. 4. M.Gibson, Behind the frieze, p. 1. 5. M.Gibson, Behind the frieze, p. 2.